In just one day, the average person is exposed to 4,000 to 10,000 advertisements and marketing messages. Couple that with the fact that the human attention span is reported to be less than 6-seconds, and the window brands have to capture their audiences’ attention is not only small, but cluttered. 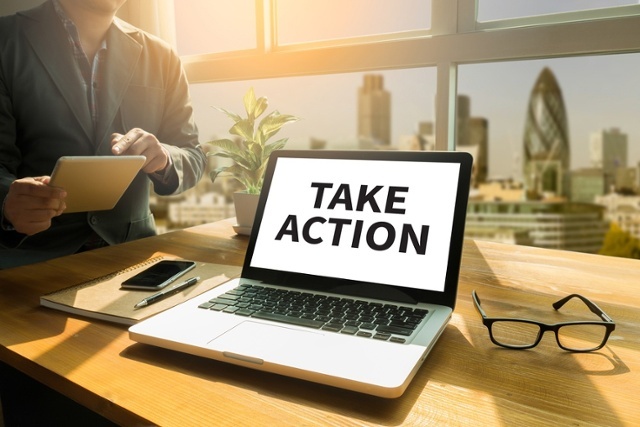 With companies and causes aggressively competing for their target audiences’ attention, how can organizations create effective calls-to-action? Why should target audiences open your email, watch your video and follow you on social media? Further, what will they gain from downloading a whitepaper or e-book, attending a workshop or registering for a webinar? The more you drive home the end benefit to the consumer, the greater the likelihood of your content being consumed. A key component of effective marketing is setting clear expectations for your audience. Setting unrealistic expectations can lead to stakeholders feeling misled and, ultimately, diminish trust in a brand. We’ve all started the electronic survey that would only take a couple minutes of our time and abandoned it five plus minutes later, right? How can you make your call-to-action and the value of taking action perfectly clear? Be precise and succinct – five actionable tips to streamline reporting, learn how to do xyz in just 30-minutes, be among the first to try our new cupcake, etc. Being mindful of just how many marketing messages people receive each day, consider how to set your content apart from the competition. Are you asking people to make a difference, join a movement, become a leader – you get the idea. Tying action and value together can help motivate audiences and increase the effectiveness of your efforts. Becoming an insider, receiving early access or gaining access to exclusive content are all effective ways to drive clicks and, in turn, content consumption. When you can promote the opportunity to have an experience that others can’t access, you motivate stakeholders to take action while making them feel valued by your company or cause. Understand the seasonality of your business and your stakeholders’ needs. Know when “now” is the time to act, and when making an offer valid for a limited period of time is the most effective way to drive action. By demonstrating a keen understanding of your target audience, you increase the likelihood of people taking action, which in turn increases your marketing ROI. While the ultimate goal is often to sell a product or service, bombarding email subscribers, social media followers, website visitors and event attendees with overly salesy messaging can deter potential buyers from making a purchase. Jumping back to my earlier point about adding value, the more you can educate, inform and engage your audiences with clear and meaningful information, coupled with compelling calls-to-action, the more effective you will be in cultivating a qualified pool of prospective buyers. While “Learn more” and “read more” and “register” all have their place in the marketing mix, varying the ways stakeholders can engage with your brand will help to increase the effectiveness of your calls-to-action. When crafting your calls-to-action, ensure alignment between the desired action and the associated content. Further, anticipate “what’s next” by building out a sequence of desired steps for consumers to take. In a world where marketing messages and content abound, telling audiences what you want them to do with the information they receive – and making it easy to take action – are key components of online marketing. Whether you are implementing an inbound marketing campaign narrowly focused on generating qualified leads, or using content marketing to educate audiences about the mission and impact of a cause, remaining focused on the end goals and measuring outcomes will help ensure you are embedding the right calls-to-action in the right places to maximize conversion and ROI.